A very aggressive damsel that grows to be approximately six inches in length. Even small ones can be a problem. 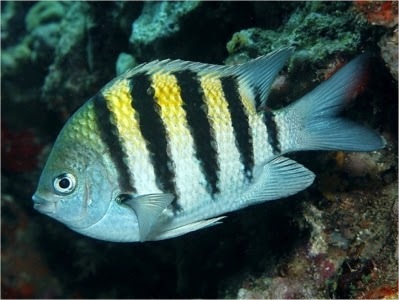 They are very territorial and will attack other fish. They do well in FO or FOWLR tanks with very aggressive fish.